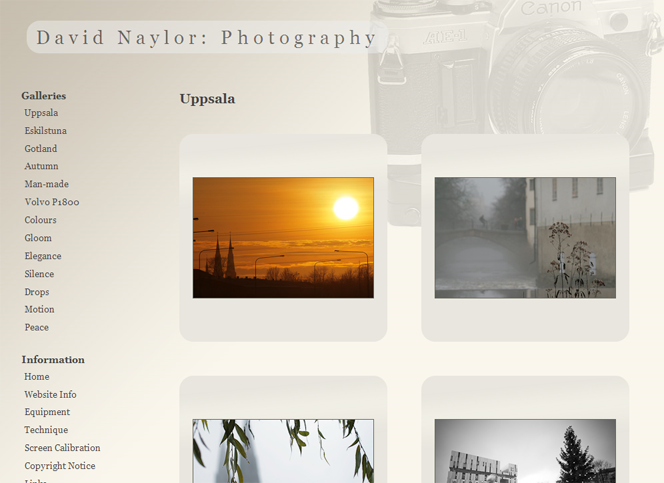 Today I created four new galleries on my photography website: Uppsala, Eskilstuna, Gotland and Autumn. A guy asked me, as I was fastening the Gorillapod to the shopping trolley: Are you allowed to take pictures in the shop? You’d better ask before you do anything. I’d better not , I thought to myself. You never know these days, someone would probably think I was up to no good. Fick några småroliga bilder på Wilma häromdan. I den här tycker jag hon påminner om en ökenräv. Det här är hennes favoritleksak, Orange Dino. Jag ville ha en aggresiv bild så jag väntade helt enkelt till hon jamade på mat. Visst ser hon farlig ut? Två HDR-bilder jag tog i helgen på Musikens hus, eller som det egentligen heter, Uppsala Konsert och Kongress. Me and Jenny went to Uppsala over the weekend and among other things I had some fun with my camera in the city centre. The local paper, Upsala Nya Tidning, put on a firework display every year. This time I didn’t have my real tripod with me, only my gorillapod. I found a granite pillar to rest it on, but this meant I was limited to horizontal shots and couldn’t readjust the camera very easily during the display. So all in all I didn’t get very many good shots of the fireworks. The one above is pretty much the only interesting one I got. Anyway, I managed to get a few other nice frames before I headed home. Here is the huge crowd of people making its way away from the castle after the fireworks. I got the above shot of Uppsala castle and the Gunilla bell tower, or Gunillaklockan as it is called really, as well as one of the Fyris river, or Fyrisån. The sky was lit up with a blue light. Not sure what it was, but it made the pictures pop a bit anyway. In Uppsala the local council have built a plastic skating rink on Vaksala torg, one of the large market squares in town. It was officially opened on Sunday and a number of people were trying it out.